Stoneman Douglas students Emma Gonzalez, Chris Grady, Ryan Deitsch and Kirsten McConnell. Students at Stoneman have stepped directly into the debate over gun control in ways no school shooting survivors have in the past. 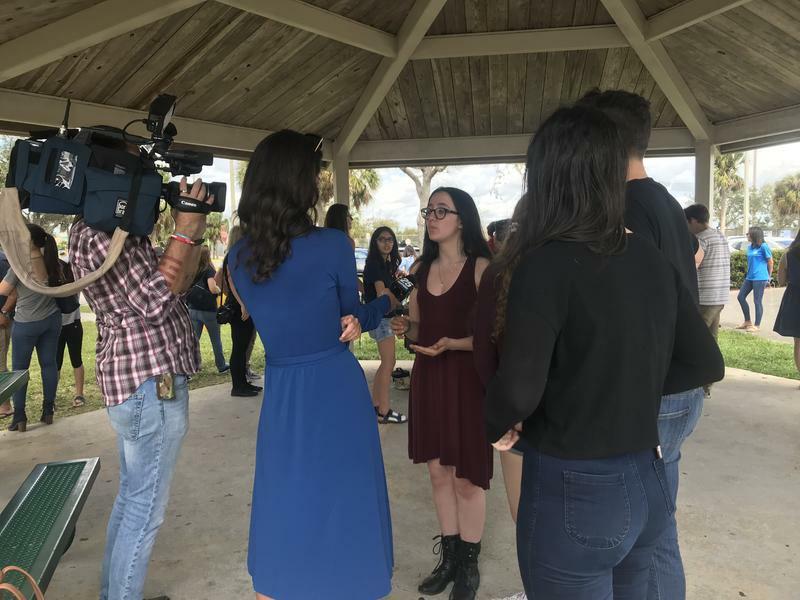 WLRN News spoke with a group of Stoneman Douglas students leading efforts calling for change during a special program -- -- Anguish and Activism: The Students of Stoneman Douglas. 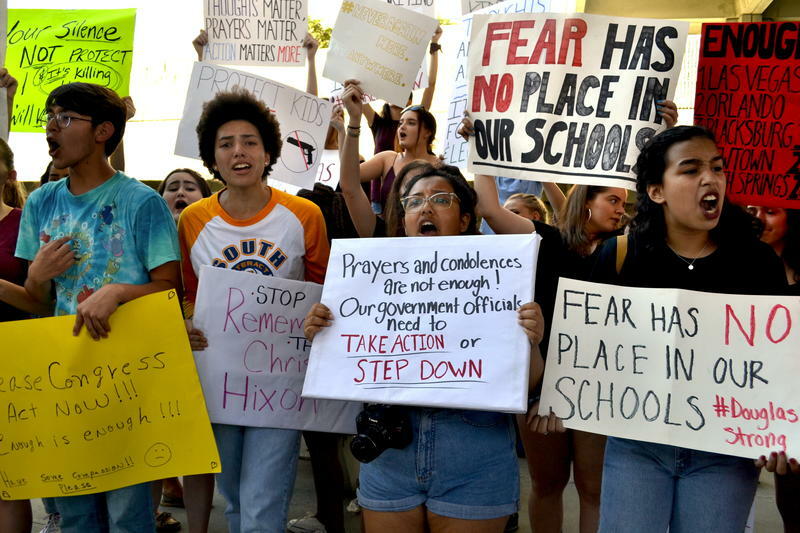 Emma Gonzalez, and 18-years-old Senior; Ryan Deitsch, also 18 and a Senior; Chris Grady, a 19-years-old Senior and Kirsten McConnell, a 17-years-old Junior, shared the reason why they decided to take center stage and their dreams and hopes for the #NeverAgainMSD movement. Listen to the special program. Since the shooting at Marjory Stoneman Douglas High School, alumni from around the country are coming back home. They say in this painful moment for their community they have to be present. Chelsea Tyrell graduated from Stoneman Douglas High in 2016. When she heard about the shooting at her alma mater she drove from the University of North Florida with her golden retriever. "I thought I'd bring along my 6-year-old golden retriever who's certified as a therapy dog to just come out here if anyone needs any comfort," she said. 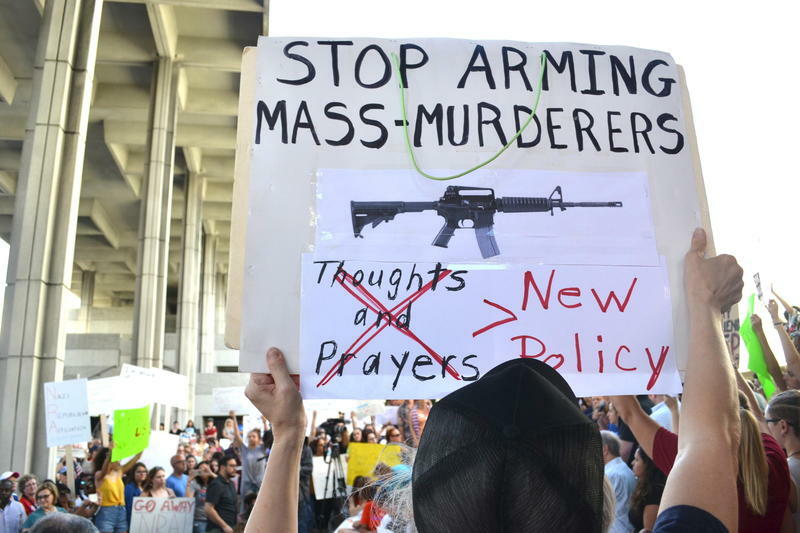 State lawmakers are facing renewed pressure to pass gun control legislation following last week’s mass shooting at Marjory Stoneman Douglas High School in Parkland — and the Legislature is only scheduled to be in session for another two and a half weeks after it returns from the Presidents' Day recess. 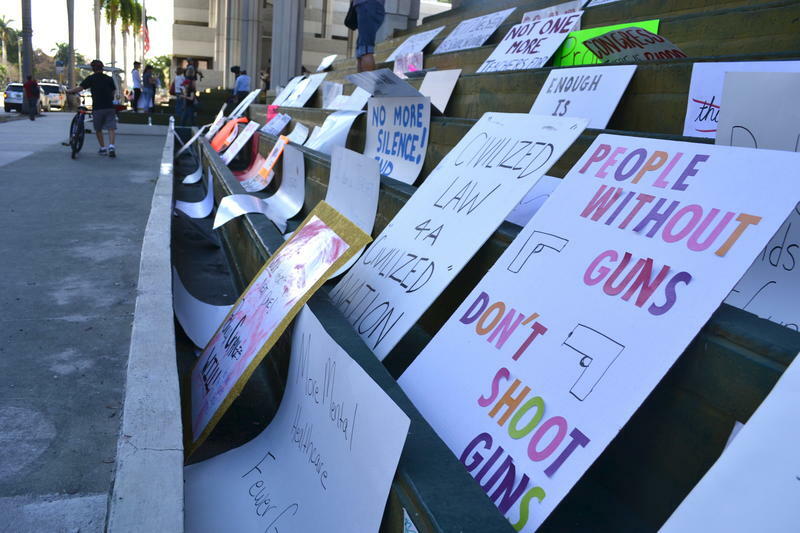 State Sen. Gary Farmer, who represents nearby Fort Lauderdale, is pushing the Legislature’s Republican leadership to hear bills he and his Democratic colleagues have introduced in past years.